We are all familiar with the reaction when someone says they have the Sun in Scorpio, but there are other less obvious ways the same energy crops up in natal charts. Those of us who have a strong Pluto influence (for example, a loaded Eighth House, Pluto in aspect to personal planets or Scorpio Rising) can also act a lot like those Scorpio Sun types. I will use an example from my own life to illustrate this . . . I am a Libra Sun, Libra Moon person with Venus in Sagittarius in the First House. This translates as a pleasant, friendly sort with a charming manner. When I was young, it meant long blond hair, a casual sporty style and a breezy, easy going way about me – Sagittarius bait in essence! The catch is that I have Mars and Mercury in Scorpio conjunct my Scorpio Ascendant, with Pluto squaring my Mars. Throw in a Pluto sextile Moon aspect, and you have a Plutonian type. This meant the exterior was far different from what was going on inside. Now I could also project the Scorpio Rising pretty effectively too, notably when I was angry about something. Sagittarians love the chase far more than the capture, and if you want to keep their interest, you just need to stay ever so slightly out of reach. There was one Sagittarius guy that was drawn to the Venus in Sagittarius style, and flirted with me like crazy when I was out partying with a girl friend. I found him equally attractive, so I came back another time and started chatting him up. The minute he got wind of the Scorpio intensity, he ran so fast all I saw were hoof prints in the dirt and the bushes waving from the breeze created by his departure. Comment below: Are you a Plutonic person? How does this aspect of yourself conflict with other elements of your chart? Im a scorp and am attracted to people with full 8th houses. My hub is one and my son too. My two best friends have packed 8th houses. Having a sag rising and aquarius moon I think makes people see me as easy going. Pluto is conjunct my ascendant so I notice people tend to fear me. I think I’m a lovely women and nice and helpful (Virgo Sun, Cusp Libra ascendant)but others naturally assume a fearful position first off. I guess I have a sort of “don’t mess with me” vibe or a sort of dark confidenceor air of mystery attached to myself automatically. I really enjoyed the “Neith on Synastry” link provided here, her writing is delightfully insightful. The comment on Venus conjunct Uranus really struck home. When I first discovered the Venus/Uranus/Pluto conjunction in my chart, I finally realized why I am a magnet for men who are extremely odd or unusual–absent-minded professors, erratic geniuses, crackpot composers–an assorted motley crew of oddballs in general. All loveable, all dangerous because of the power struggle involved with Pluto in the mix. Revolving door is the perfect metaphor. These days I stay off the merry-go-round and with great relief; love leaves me dizzy. I’m a Libra cusp Scorp, but I think I am more a Plutonian/Mercurial person… that Pluto is in such a close conjunction with my Merc, they are almost the same! And yes, Mars squares them both. My rising and moon are both in Gemini. I think I come across as light and bright, but I am SO intense. Always comes through, too, especially when I first meet people. I don’t know, I think I try to warn them as gently as possible… because people are either scared off or close off. Like anon, I can create a shield of “don’t mess with me” but sometimes, the vibe happens whether I will it or not. I’m an 8th house Virgo with Sagittarius Rising and Mercury, Venus and Mars conjunct Pluto in the 8th/9th houses. Scorpio MC. Taurus Moon conjunct Jupiter in Gemini in the 5th. I look like a Venus-type and have the calm Virgo eyes, except they’re acid green, lol. As I really am a true nerd, I would have needed my own PR-representative if it weren’t for the fact that I almost without exception attract Scorpios, Virgos and (Sun-Pluto) Libras. And I certainly wouldn’t want it any other way:D When I was a little younger, I would attract Capricorn and Cancer men, too, but interestingly not a single one since the transit of Pluto to my Sun/Asc… LOL! Hi I’m Allegra. I have Pisces Sun, Venus, and North Node in the 8th house. Sun trine Pluto, Saturn and Neptune semisextile Pluto, for the nice aspects (if any aspect involving Pluto can be called nice). Mercury square Pluto opposition Mars square Mercury in a nice angular T-square. Pluto square Leo Ascendant. I’m a Leo Rising, so Sun in the 8th house is my chart ruler. In other words, I am more Plutonic than most Scorpios. Intensity meaning anything to a very extreme level. For me this is mostly on an emotional level. My emotions run very deep, and I feel extremely one way or the other. So whatever I do or say carries that extreme with it. When I am speaking to someone, for example, I usually feel very strongly about what I am saying and convey it in a very strong manner. People usually don’t understand why I care so much or think I am coming on too strong. But I can’t help but feel strongly about things that matter to me and I crave this kind of extreme in my life. However, most people do not want to “shake up the system” and thus relegate most situations and relationships to a very flat, superficial level. I don’t know if I’ve explained myself clearly enough, but its very hard to put in words. This is why I tend to gravitate toward Scorpios or those with a strong Plutonic influence in their chart. I can sense that they feel things similarly to myself and can understand and appreciate it. ah, you hit the nail on the head with pluto giving some weight. 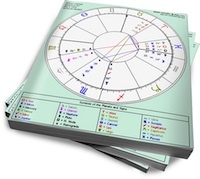 i’m a gemini sun and pisces moon which should make me a charming flake (and trust me, I have my moments)…except both square and oppose pluto, respectively. add pluto conjunct the MC, Jupiter, Uranus to the mix and suddenly little flighty gemini becomes the hypnotizing snake charmer indeed. honestly, 38 years into all this & still don’t feel like I have a handle on all the light vs dark sides of myself. have this placement of Mars you are probably a walking time bomb. most people to die from a violent act or accident. @Blair Gorman, some of your interps are fairly deterministic.